At least on your first visit, stick to the 8-course *Menu Exceptionnel* (with wine pairing). My favourites from that shockwave of tastes remain the grilled scallop and hot foie gras with cinnamon duck. And the word is that people travel from all over the world just to try Chef [Michel Roux Jr](http://www.michelroux.co.uk/)’s (who was also visibly present at the venue all night) cheese souffle. [Our full culinary trip is available as a photoset here](http://www.flickr.com/photos/seikatsu/sets/72157604148051496/). 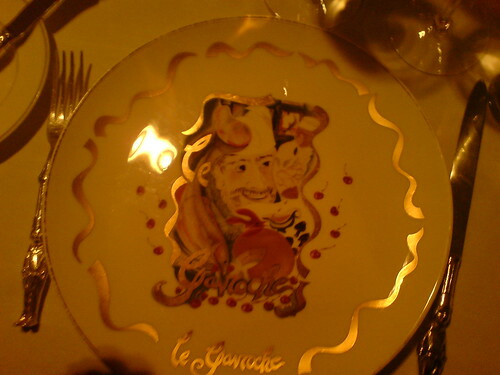 **Verdict:** Le Gavroche might have lost one of their top Michelin stars since the eighties (today they have “only” two), but they are still very much worth your four hours of time and money.